North London bred, The Fuze has been writing music since he was eight. His dad showed him three chords and he was entranced. They wrote a song together and performed Fuze’s first collaboration. He spent his formative years gigging all throughout London’s pubs and clubs, constantly refining his talent. Proficient skills in musicianship (singer, song-writer, guitarist, pianist) coupled with his contagious optimism, The Fuze takes his listeners on an auditory and mindful journey. He is strongly influenced by The Beatles and John Lennon. Adopting Lennon’s attitude of anything is possible and the need to give to humanity, The Fuze weaves these philosophies into his songs and his life. A strong advocate for animal rights and believer in the power of positive vibes, his ‘unashamedly bright and uplifting’ music is what is needed in today’s world. 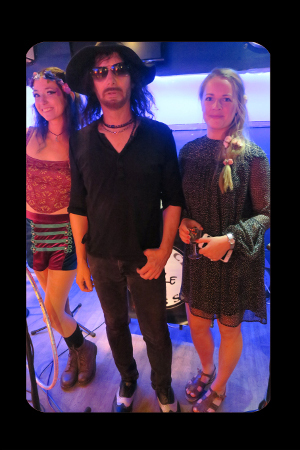 He is likened to The Flaming Lips, David Bowie, Bee Gees, MGMT and ELO. 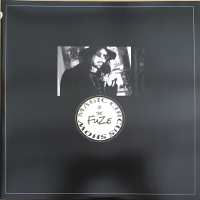 The Fuze has his own down to earth and edgy groove-sound that sets him apart from your standard British pop. He writes about love, life and humanity, and his words have bigger meaning, inspiring you to dream. LIVE, LOVE and do it BIG, not only for yourself, but for ALL. Not afraid to try new things and broaden his life, he’s worked hard to get here. During an intense three-year period, playing live shows almost every night, he perfected his live performances. Passionate about sound engineering and recording, he learnt from some of the best in the industry! He’s worked with acts such as Sophie Ellis-Bexter, Martha Wainwright, Beverly Knight, Jamie Lawson and Nigel Kennedy. He now owns Woodside Park Recording Studios, where his production skills shine and he is always open to collaborating. Cannes, 2014, both attending Midem Music Conference, The Fuze met Dominic King (also known as Bugatti) walking down the same street, looking for the same party. They chatted, exchanging musical tastes, influences, dreams and contact info. Back in London, The Fuze received a phone call from France. It was Dominic, are you interested in working together, there’s a track I want to send you. Without hesitation, the Fuze said yes. There began the journey of the Magic Circus Show. Dominic flew to London and slept in the studio during an extraordinary two weeks of musical creation. The album took on an organic growth as they kicked around ideas and thrashed out sounds. They fed off their music’s infectious energy and high vibration hippie hums. Writing and recording, as song after song spilled out. 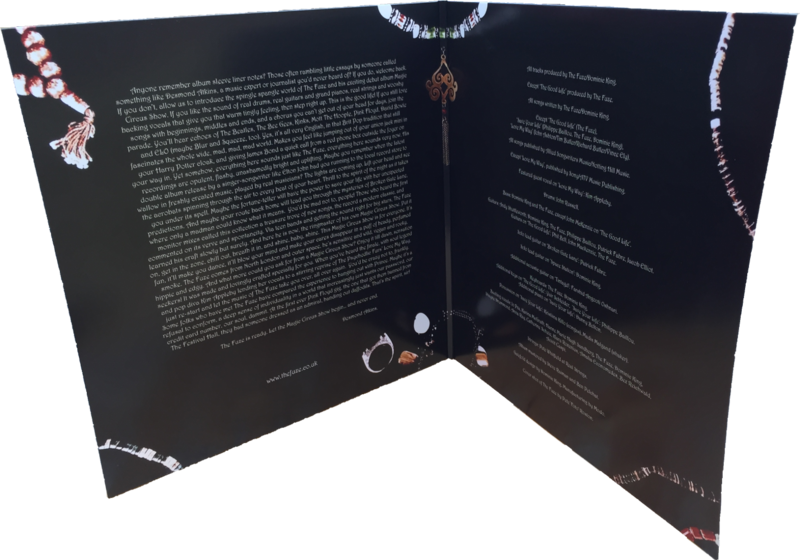 Driving each other forward, the album morphed from one melody into the opulent journey of a magic circus. This album is real; real drums, real guitar, real vocals, nothing programmed. It is a modern classic, a ‘treasure trove of new songs’ that will keep you dancing all night and dreaming all day. Permit yourself this pleasure and pick up a limited, numbered edition as soon as you can! Magic Circus Show, lovingly crafted, by The Fuze and Dominic King, features John Russell and Kim Appleby. Assisted by Steve Honest, Patrick Fabre, John McKenzie and many other talented souls, was mixed and produced at Woodside Park Recording Studios, with the exception of strings by Pete Whitfield, produced at Real Strings, Manchester. 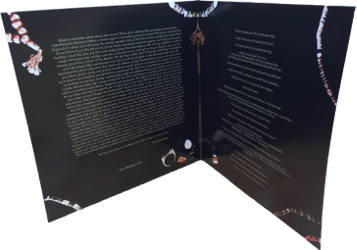 Over a year in the making, this well-worth-the-wait double album is now available on vinyl. This evening was one to remember. You felt as if you were at an exclusive, private party. The boat ambiance was unique, the crowd as friendly as the music, and The Fuze’s performance- captivating. His extravaganzas are peppered with magnetic circus acts and spellbinding entertainment and before The Fuze appears on stage, a fire dancer ignites our sense of wonder. 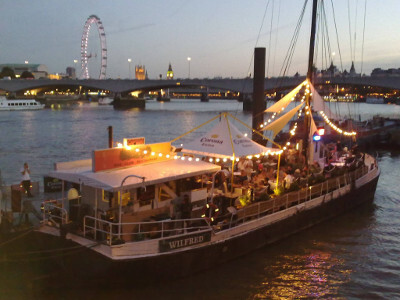 The expertly lit boat, features the stage with a statue of a Shiva-esque Goddess in the foreground, while wafts of incense float through the air. On this enlightened evening, The Fuze begins the first set with “The New Bohemians,” a tale of freedom and a new way of life. Next, the band seamlessly flows into “The Good Life,” a song about living in the present. When you hear these lyrics and look at the band, with the three magnificently talented and stunning back-up singers, you know they are living the good life! The audience does not stop moving all night. Dance moves only become bolder as the evening progresses. The magical evening continues, with the second set opening to the sounds of the far east. The Fuze’s tune "Tintagel", transports the audience to the past, only to bring them back to the present with lines from "Let the Trees Grow": this is the age of reason, but I can’t help wonder why...why push the party line, let the trees grow... The Fuze has the audience in a trance with his upbeat words and melodies in songs such as, "Every Beat" and "Golden Dreams", conveying messages to live your dreams and follow your heart. 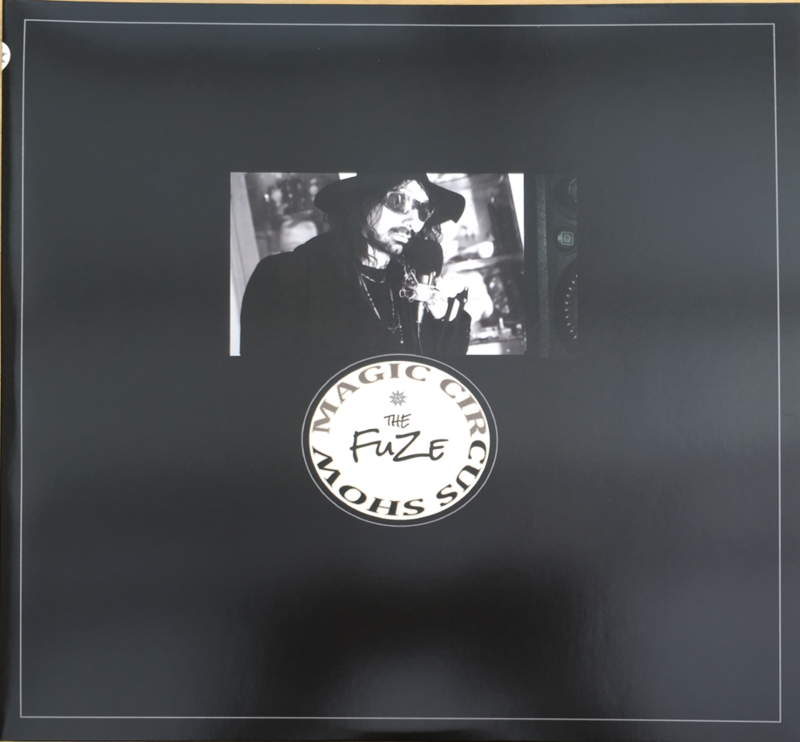 The prevalent positivity found in the Fuze’s lyrics is addictive and his song-writing talents shine through on this debut solo album. I leave the show walking taller, smiling broader and more optimistic about all that life has to offer. This show is not one to be forgotten. I will be sure to be there for the next one.